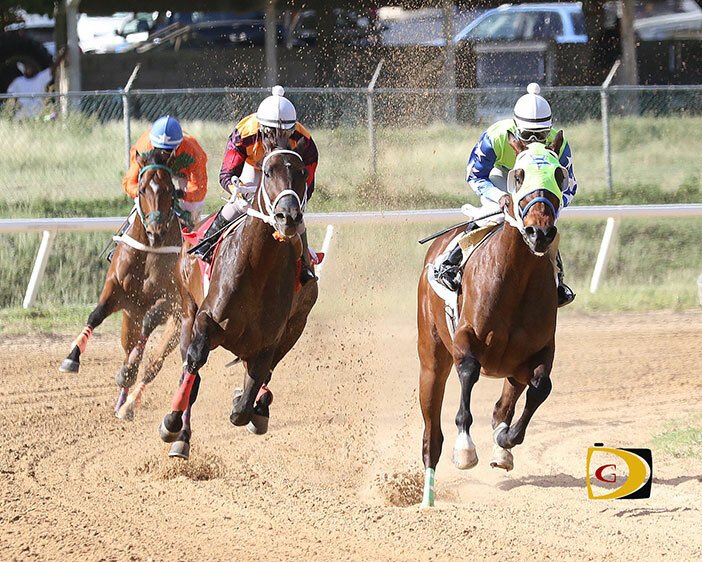 Honors romped to a domineering gate to wire victory over debutant Bellamy Chief on Sunday afternoon at the Ellis Thomas Downs before a sparse crowd, in the ‘Islands of the BVI’ feature race which focused on Tortola. Leading after breaking the gate, Honors led Bellamy Chief and Exploring in the 7 Furlongs race. He increased his lead coming off the top of the turn, winning by six lengths going away in one minute, 30.2, in the three horse race. Lake said last race day, Honors had an ‘unfortunate run’ as he was down deep on the rail and got really tired. In the card’s kick off with the Peter Island 7 Furlongs race for Class E horses, Dramacidel took the measure of Joshua in a match race after LB’s Thunder was scratched. He navigated the course in 1:36.3. Before the second race for Class D horses began, Gottocha Bob—running from Gate 4—threw off his jockey Elmo “Mahal” Barnes, in the 7 Furlongs Anegada race, then sprinted around the course solo for two circuits before he was stopped by the gate. He was then mounted again, but wasn’t a factor in the race which Buy Buy Buy controlled and held off Meddling Birdie’s charge to win in 1:33.4. Mark It A Wynn, was the show horse, followed by Sir Whisky, who limped across the line. Crazy Laura in her debut, ran away from Bitter Sweet Dream and Miss Homer during a convincing four lengths gate to wire victory over 6½ Furlongs. The Jost Van Dyke race for Mares and Fillies saw Crazy Laura pulling away from the field after Miss Homer began challenging Bitter Sweet Dream for second place. Crazy Laura recorded a winning time of 1:25.1. Daboluck closed the card in the 7 Furlongs Virgin Gorda race with a gate to wire triumph, covering the course in a time of 1:25.1. Star Ship Titan followed and Atorrante was the show horse. Yes By Eric finished well off the pace while Chilean Boy was scratched. BVI Horse Racing Association president Patsy Lake, said she thought the races went well and the horses also performed well. What is she finding at the helm after a 20-year absence?